The purpose of the campaign is to mobilize young people worldwide to create awareness, advocate, take action and commit to an everlasting world peace. In a world filled with violence, terrorism and injustice, to many the idea of peace has become merely just a vision as these unsettling acts continue to affect innocent people in communities around the globe. Violence serves as a reminder of how relevant and necessary peace is in today’s society. 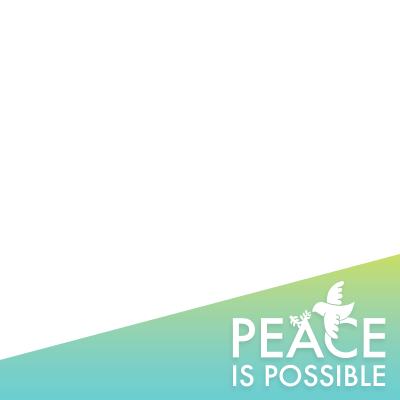 For that reason, the Peace is Possible campaign seeks to foster an environment where shared collaboration and open dialogue occur between all sectors of society, making peace more than just a vision — but a possibility. The campaign mobilizes young people worldwide to create awareness, advocate, take action and commit to an everlasting world peace. The worldwide adoption of the Global Goals for Sustainable Development is just one step toward achieving this peace. It will take the collaborative effort of active citizens everywhere, working to advance these 17 goals, to make peace possible.